WHERE YOUR GARDEN MEETS THE SEA! 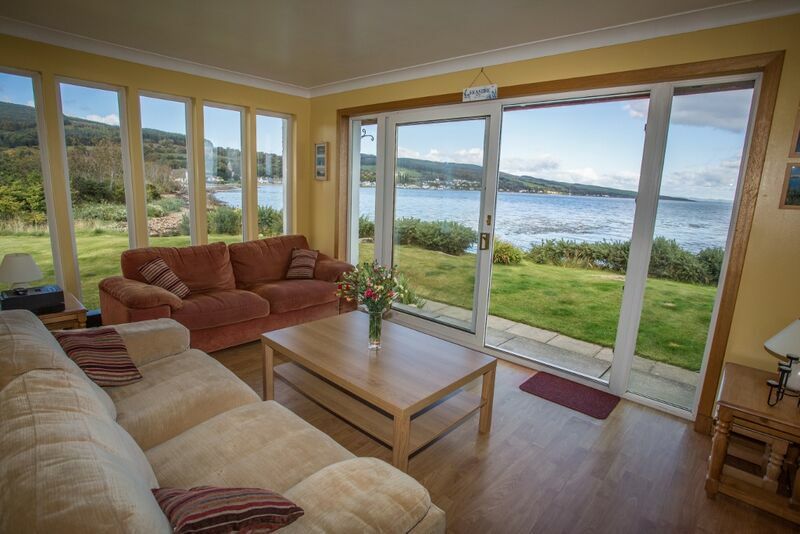 - a unique way to rent a waterside holiday home. Hi there - welcome to "Arranchillout.com” – our website featuring a unique way of renting a holiday home – and a unique way of saving you lots of your hard-earned money. 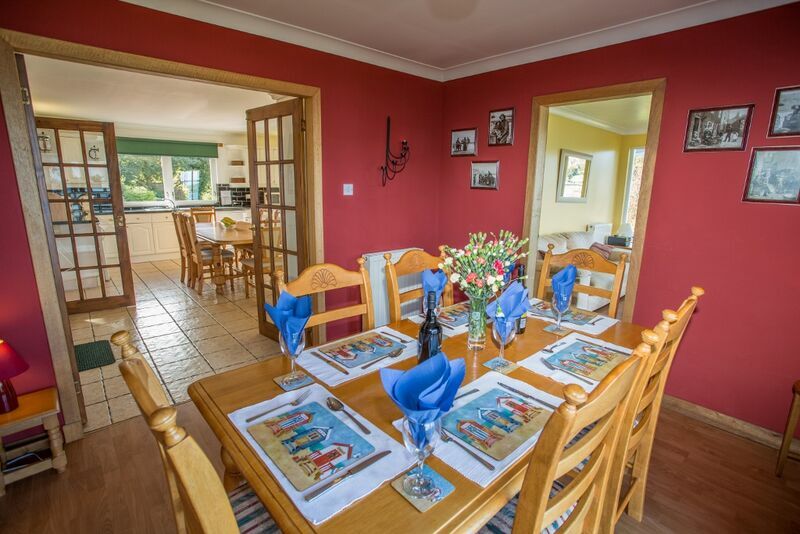 The house is called Doricmorr, and is situated at the waters edge of Lamlash Bay, in the hamlet of Cordon, just outside Lamlash on the beautiful island of Arran. 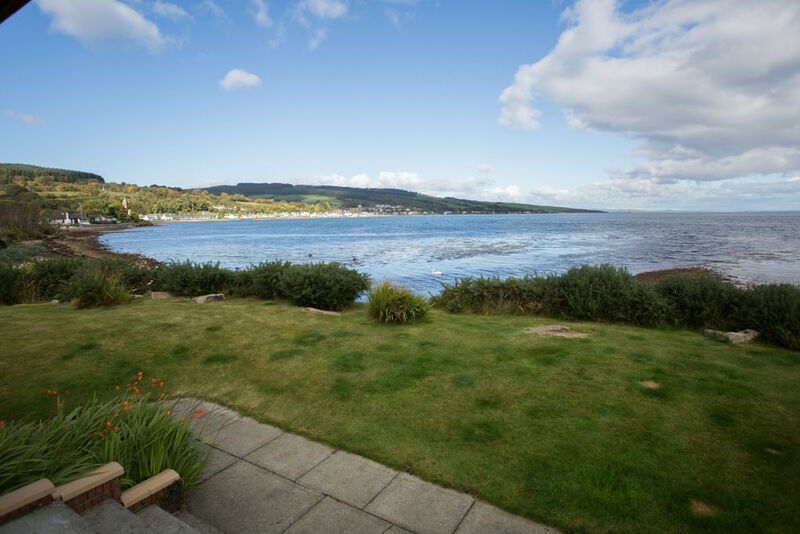 It is bounded on one side by the Monamore Burn, and the shoreside garden finishes where the sea starts (We have had a guest claim to be the first in the world to do “Indoor Sea Fishing” – casting from the Sun Lounge into the sea!!). 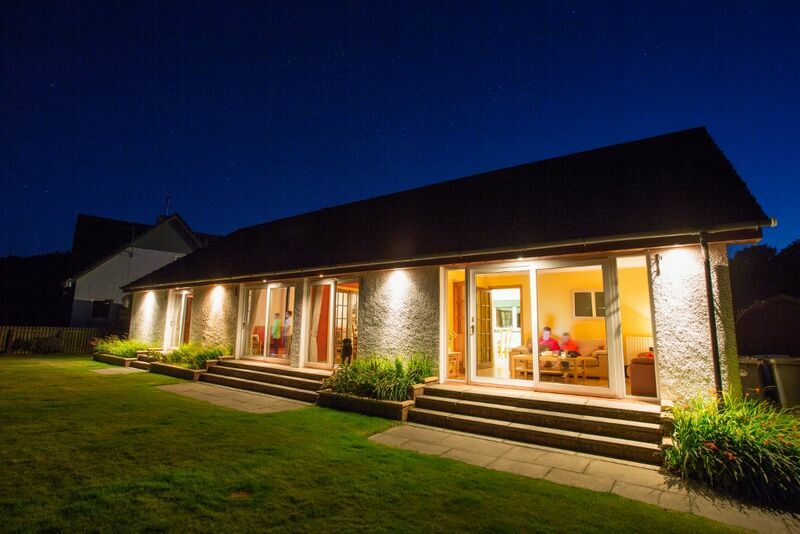 The cost of renting the house is £150 per night. This price is for the entire house - not per person! We also charge £10 per dog per night for well-behaved dogs. 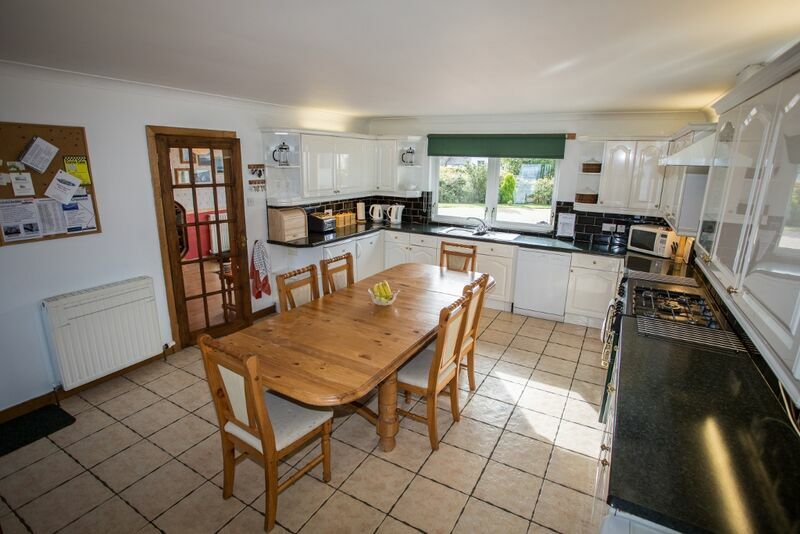 The house offers free wi-fi broadband, SKY movies and SKY Sports, and free phone calls to landlines in the UK and 50 (yes 50) international destinations!! We run the house on a unique “leave the house as you would expect to find it” policy, which means that we do not need to rely on, or pay for, a cleaning company to keep the house neat and tidy. Instead, you must clean the house at the end of your stay, and return it back to the condition you found it in before you leave - ready for the next guests! If you are happy to do this - please read on! If not, please feel free to move on and look at many of the other fabulous properties available to rent on Arran - we will not be offended! This also means that we can be much more flexible on entry and exit times, giving you much more time in the house than a regular type of holiday home operation. In particular, it means that short breaks are much, much better value for money. Given that Doricmorr arguably boasts one of the best locations for a rental home on the island, thus giving guests access to a luxurious house in a breathtaking location without having to take out a mortgage for their holiday!! This website is designed to give you a flavour of what we have to offer, and also details the many facilities the house has to offer, but if you need more information, or have any questions (no matter how trivial they may seem), drop us an e-mail to the address below and we will be happy to help out. ..............why not book some time in the house?